How is it that we are not only at the end of December already, but also at the end of 2018??? This year has flown by!!! It was a great year, filled with lots of great books, and judging by the books that have already shown up on my doorstep for 2019, it looks like it is going to be another great year of reading coming up! 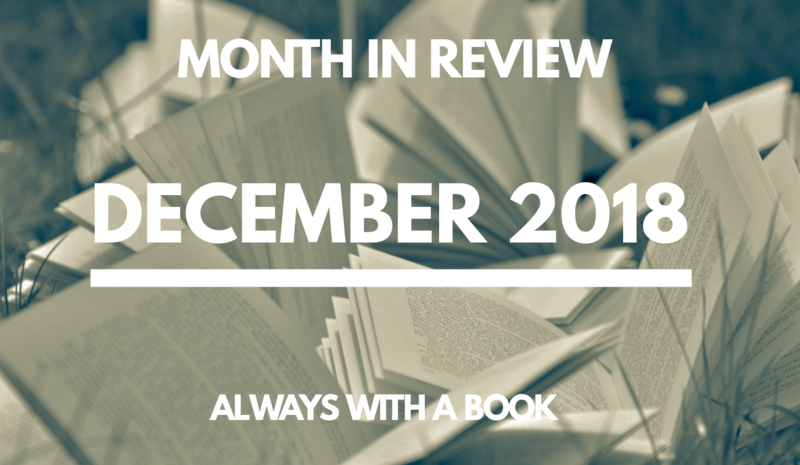 As always, there are way too many books to read and not enough time to get to them all, but I'd rather have a long tbr than always be looking for something that interests me. *These numbers only refer to books that have been sitting on my shelf for a while or that I have recently purchased. It does not include any review books. When Nick Hansen sees the young woman at the grocery store, his heart stops. She's the spitting image of his college girlfriend, Marissa Minor, who died in a campus house fire twenty years earlier. But when Nick tries to speak to her, she acts skittish and rushes off. The next morning the police arrive at Nick's house and show him a photo of the woman from the store. She's been found dead, murdered in a local motel, with Nick's name and address on a piece of paper in her pocket. 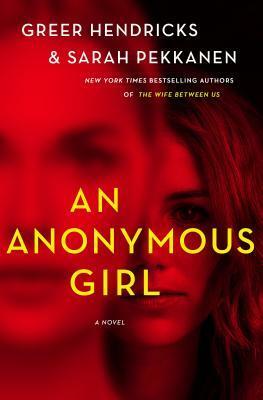 Convinced there's a connection between the two women, Nick enlists the help of his college friend Laurel Davidson to investigate the events leading up to the night of Marissa's death. But the young woman's murder is only the beginning...and the truths Nick uncovers may make him wish he never doubted the lies. My thoughts: David Bell is definitely becoming that author that I just have to read...whether it's a new book he has coming out or, as in the case of this book, an older book that is being re-released in paperback, and I just haven't had the chance to read yet...you can guarantee I am going to be picking it up. His books are addicting and thrilling, with dynamic characters and completely engaging plots. Right away I was pulled into the mystery of this book - I loved that it is filled with such emotion as well as being quite a puzzle. And the twists really keep you on your feet, with some of them throwing you off track if you are not paying close enough attention. 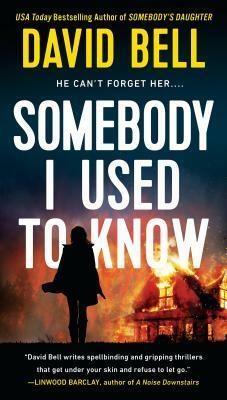 This is a book that will really test your detective skills and I loved every bit of it. This is the type of book that as you get further into it, and more details are revealed, you find yourself with more questions than answers. It's what really pulls you in and makes the book so addicting. Why does this young girl, who looks so much like Nick's college girlfriend who died in a fire during college, in his local grocery store? And why, when she is found dead the next morning, does she have Nick's contact information on her? These are the questions that spur Nick into a journey back into time to find out just what happened that night of the fire and what has been going on since. As much as I tried to put the pieces together as they came at me, I couldn't. There was just too much that I didn't see...which isn't a bad thing. I like being surprised at the end and boy was I ever! This book really kept me on edge as the suspense built, slowly but steadily as Nick and his friends figured out just what really was going on. Once again David Bell has given us a multi-layered story filled with unexpected twists that will keep you guessing right up until the end. It was definitely an addicting, thrilling, binge-worthy read and I cannot wait til his next book comes out! Audio thoughts: This was a great book to listen to on audio - it really kept me engaged the entire time and I thought Andy Paris did a great job with the narration. He gave each of the characters their own distinct voice and his pacing and intonation were spot on. I ended up listening to this book in just two days because I was so addicted to the story, I just couldn't stop listening! My thoughts: This is the sophomore novel by the writing duo Greer Hendricks and Sarah Pekkanen and I have to say that while I really enjoyed their first novel, The Wife Between Us, I think this one is even better! It totally consumed me from the very first page and I found that once I started reading it, I could not put it down. There are so many great things about this book, but I am just going to highlight a couple as I really do think you need to go into this book as blind as possible to enjoy it to its fullest extent. The first is that there is not one huge twist to this book, but rather there are many little ones and these tend to be rather subtle in nature. They will still make your head spin as they do alter what you thought was about to happen, but it's not a big in-your-face type of twist. Another thing that I loved is that none of these characters are particularly likeable or the most reliable. And that makes it so much fun because just when you think you might be able to trust someone, you have to wonder if you really can or should. I love books like this, where I am constantly on guard and constantly wondering about the characters' motivations and this book definitely checked that box for me. Be forewarned that when you pick this book up - because let's face it, you so know you want to - you are going to have a really hard time putting it down once you start reading it. Just be prepared to not get anything done until you finish reading it...it's that good and that addicting! This book is suspenseful and with a dark undertone that delivers on every level...I highly recommend it!!! 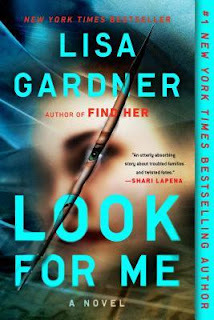 Last February I read Look For Me by Lisa Gardner, the latest book in her Detective D.D. Warren series, when it was first released in hardcover, and I loved it! You can find my thoughts on the book here. Next week, on December 31st, the book is being released in trade paperback and to celebrate, I am helping the publishers get the word out. Are you a fan of this series? If not, now's the perfect time to jump in. Look For Me in its paperback format will be the perfect book to cozy up with during on these winter nights. It's a perfect introduction to Lisa Gardner for new readers and an exciting addition for dedicated fans, plus it will be just the book to read as we all eagerly await the next installment of this series, NEVER TELL, which will be out in February! The home of a family of five is now a crime scene: four of them savagely murdered, one--a sixteen-year-old girl--missing. Was she lucky to have escaped? Or is her absence evidence of something sinister? Detective D. D. Warren is on the case--but so is survivor-turned-avenger Flora Dane. Seeking different types of justice, they must make sense of the clues left behind by a young woman who, whether as victim or suspect, is silently pleading, Look for me. About the author: LISA GARDNER is the #1 New York Times bestselling author of seventeen previous novels, including her most recent, Crash & Burn. 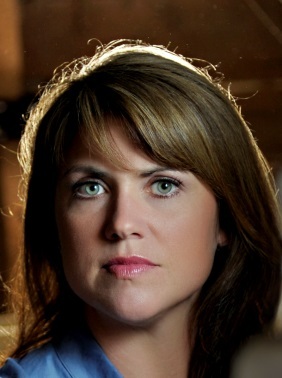 Her Detective D. D. Warren novels include Fear Nothing, Catch Me, Love You More, and The Neighbor, which won the International Thriller of the Year Award. She lives with her family in New England. The third installment of the #1 internationally bestselling Joona Linna series, The Fire Witness sees Joona drawn into a gruesome, mysterious murder at a home for wayward girls. Detective Joona Linna is on leave dealing with personal and professional issues when he gets pulled into the investigation of a horrific murder at a home for wayward teenage girls. One girl is dead, and another is missing. The local police want to close the case quickly, especially after they discover a bloody hammer under the missing girl's bed. But a woman claiming to see visions of the murdered girl insists there is more going on than meets the eye, and Joona is inclined to believe her. As he digs deeper into the case, he finds himself in dark and dangerous territory. This compelling thriller will have you turning pages long into the night. My thoughts: I have loved going back to the beginning of this series...being able to read books 1-3 after starting with book 4, The Sandman earlier this year. This is by far one of the best crime fiction series I am currently reading, despite the fact that it is extremely dark and disturbing. It's one of those series where once you start reading a book, you find yourself completely hooked and addicted. 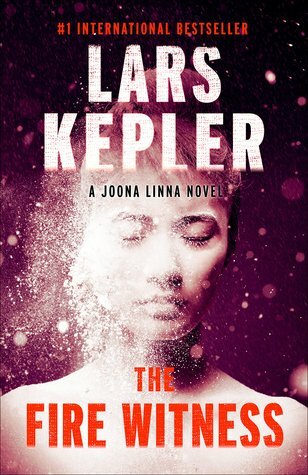 This latest installment finds Detective Joona Linna on leave, but that doesn't seem to find him from getting involved in a case that is so chilling and disturbing it just might give you nightmares. This book, maybe more so than the other books I've read so far in this series, really got under my skin because of the subject matter - it dealt with the death and abuse of young teen girls. As I've mentioned in previous reviews of the books in this series - you really do need to approach these books with caution as they are certainly not for the faint of heart. There are quite a lot of moving parts to this story and it might seem that it's a lot to keep track of, but this is the type of book where you end up reading huge chunks of it at a time because of the addicting nature of the story. You just become so consumed with what is going on and have this compulsive need to see what is going to happen next. And between the short chapters and the many mini-cliffhangers that many of the chapters end with, you just can't help but continue reading. As we have in the previous books, we continue to learn more about Joona Linna himself. We delve into his background a bit here, his family life such as it is. He is on a mission while he is supposedly on leave and this mission was a thread that was first started in the previous book. This right here is why I love reading series in order...that organic development of characters in the way the authors created them. And this is a thread that will continue in the next book. I was surprised, though, in this installment, that Security Police Detective Saga Bauer only had a minor role, after being introduced in that last book. I thought she would be a main character moving forward, especially knowing the role she plays in book 4. I guess not. It will be interesting to see what happens in book 5. I'm now caught up and ready for book 5, Stalker, which comes out in the states in February. I think, though, that I am going to skim book 4, The Sandman, in preparation - again, more for that continuation of the character development than anything else. 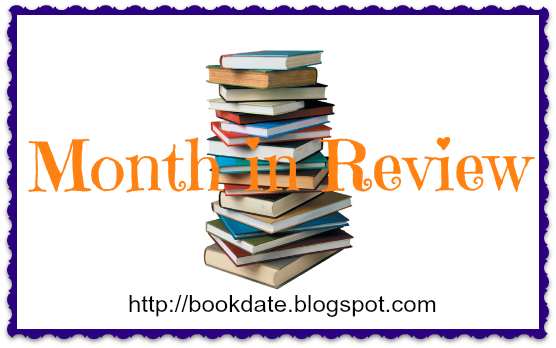 I only read the book in February, but I have read quite a few other books since then! Richard Armitage modernizes a classic hidden gem of Christmas Past… Sir John Penlyon is planning to spend Christmas at his estate with his niece and his friend Danby, the closest thing he has to family since disowning his daughter years ago. (She eloped with the parson, who was, of course, penniless.) Danby suggests that at Christmastime the estate needs the presence of small children, and offers to find some - the “hirelings” - despite Sir John’s skepticism. Three children duly arrive, and the youngest, precocious four year-old Moppet, quickly endears herself to Sir John. The season takes flight with merriment, warmth, and even affection, until Moppet - as young children are wont to do in Victorian holiday tales - falls deathly ill. With her life hanging by a tinsel-thin thread, how will the makeshift family cope? Listeners who smile ironically at the antiquated juxtaposition of The Christmas Hirelings might be surprised by the contemporary feel of a blended family, income inequality, and the power of togetherness to heal past sorrows. 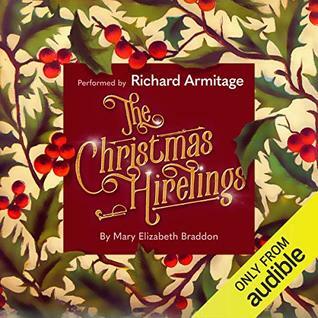 Richard Armitage’s stellar voice makes each scene as rich as a plum pudding dotted with the raisins of tradition (party favors, carols, and more! ), and the entire performance feels like a trip to bygone England…just in time for the end of this year. My thoughts: This was an Audible Original audiobook that members got for free as a gift for Christmas and while it's not my usual type of listen, I decided to give it a try...and I'm so glad I did as I really enjoyed it! It was the perfect story to have on while I finished up my Christmas cards and did some other holiday errands. This story was first published in 1894. It is a Victorian Christmas tale similar in some ways to Charles Dickens' A Christmas Carol, with just a few little twists to make it stand out on it's own. I found the children to be quite charming, especially little Moppet, who in my opinion stole the show! I will say the idea of hiring out children is quite a new one to me and while I know this isn't something that is happening now, but back in Victorian days, I still had never heard of this practice. But, as I got further into the story, I saw the motive for what it was meant to be and understood...this is the true heart of the story and this is what makes it such a sweet Christmas story. I'm glad I decided to give this story a chance...I really did enjoy it and it definitely put me in the holiday spirit. I didn't end up reading too many holiday books this year and so this one came around at just the right time! Audio thoughts: This is the first time I've listened to Richard Armitage narrate a book and I was in heaven listening to his voice! He did an amazing job with not only the story but also all the characters, bringing them all to life, even the women and children. I will definitely be seeking out other audiobooks that he has narrated!